Mummy’s Gold Casino is a popular and trusted online destination powered by award-winning software technology courtesy of Microgaming. Themed around Ancient Egypt and hidden treasures, Mummy’s Gold is renowned the world over for delivering fantastic bonuses, generous promotions, exciting games, trusted banking options, 24/7 support, and more. Fully authorised, Mummy’s Gold also comes with approval from independent watchdog, eCOGRA. They approve casinos on delivering payouts efficiently, accountable casino conduct, proven customer service, and game play that’s fair. When you register with Mummy’s Gold casino, you instantly qualify for a welcome bonus worth up to 500 credits on your first deposit. When it comes to deposit limits at Mummy’s Gold, at 10 credits they’re quite low. This will of course be dependent on what currency you use, as well as the payment method. Take note that deposit limits will vary in relation to different promotions, but these will be indicated in the rules. Mummy’s Gold casino accepts the following currencies: $, €, C$, NOK and SEK. Mummy’s Gold has a wonderful selection of more than 500 casino games that you can choose from. Plus, they release new games each and every month on all of the platforms – PC, laptop, tablet, smartphone. That means the games are always growing in size while evolving in content. Ranging from progressive jackpot games to table games, video poker games, and slots, Mummy’s Gold has them all. Leading casino software provider, Microgaming create the games so you can expect the highest quality. Some of the most popular titles include Mega Moolah, Thunderstruck, Break da Bank Again, Avalon, Game of Thrones™, European Roulette, Classic Blackjack, and Immortal Romance to name just a few. Whether you’re making a deposit or a withdrawal, it’s easy at Mummy’s Gold with an array of excellent banking options. Some of these options are applicable to players from all over the world while others are region specific. To find out which options are applicable to you, just go to the Banking section and make your selection from the list. The options include trustworthy and reputable names in web wallets, prepaids, debit cards and credit cards, ranging from Visa and MasterCard to NETELLER, paysafecard, Skrill, EntroPay, eCheck and more. Every day, week and month, you can partake in exciting promotions that include generous prizes in the form of free spins, additional cash winnings, vacations overseas, fun gadgets, and more. Then there is Mummy’s Gold’s fabulous loyalty programme, which rewards players the more they play. 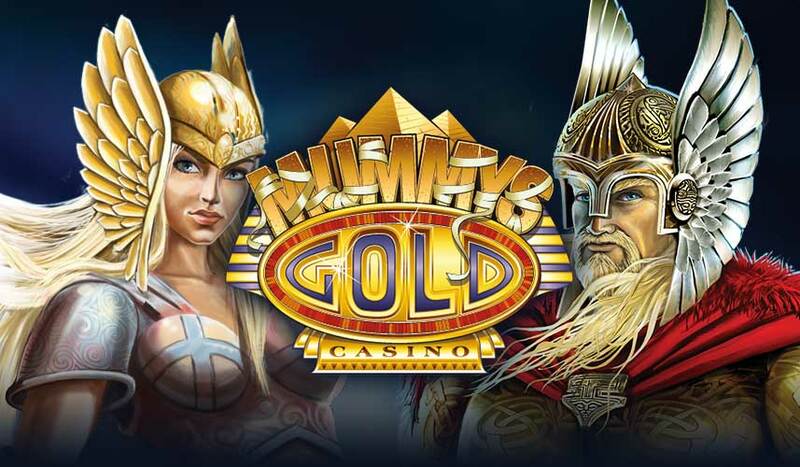 Mummy’s Gold has the backing of influential and innovative casino software developer, Microgaming. A multiple award-winner, Microgaming created the first ever online casino and is responsible for a huge number of fantastic games. Plus, they’re renowned for delivering exceptional artwork, animations, sound effects, special features, navigation and game play. Mummy’s Gold is a wonderful online casino to play. One of the reasons for this is their incredible around the clock customer service. You can reach the friendly and professional support team any time of the day or night. Contact them via live chat, phone and email, to assist you with forgotten passwords, bonus queries, payment queries, and more. Mummy’s Gold is available to play in multiple languages ranging from English, Italian, French, German, Spanish, Norwegian, Danish, Swedish, Finnish, Portuguese and Japanese. With the exception of the United States of America and a select few other countries, players from anywhere in the world are welcome to play at Mummys Gold.